But aqua running has been a different experience. The RPE never seems to edge up high enough to reach the upper cardio zones. I can still talk. Easily. And for some bizarre genetic/DNA malfunction — I like hitting those upper zones. Today would be different. After a 5 minute aqua warmup, off I go. 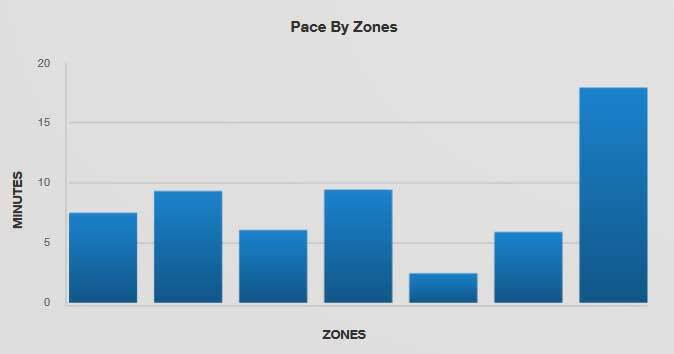 Sprinting and keeping my “outdoor” cadence with no buoyancy assistance from my arms…to reach the first Fartlek point. For recovery, it was all arms and no legs to the next point. Rinse wash repeat for over an hour. In the end — aqua running Fartleks are a winner for leg strength conditioning. And for a higher RPE — running outdoors is the way to go to get the heart rate pumping. Aaaah, the discoveries.